Caplin Systems, a multi asset provider of single-dealer platform (SDP) technology has selected forex industry veteran, Ed Magee. 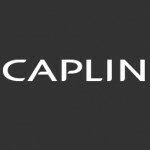 Caplin Systems, a multi-asset provider of single-dealer platform (SDP) technology, has selected Forex industry veteran, Ed Magee as its newest Executive Vice President for the company’s American operations. Caplin Systems deals with a variety of brokers, banks and international clients, offering a wide array of comprehensive solutions across Forex, equities, and commodities, among others. In his new role, Mr. Magee will be based out of Caplin’s New York branch, where he will be tasked with managing sales and business development for the entire North American region. In joining Caplin, Mr. Magee has accumulated over 25 years of experience in the industry, having worked in a variety of roles at both Citigroup and Markit. At Citigroup he served as Vice President and Senior Vice President in a variety of Forex related roles, while also as Director at Markit. “We have every confidence that Ed can take Caplin to the next level in the US. With his banking and technology background, Ed brings a unique understanding of the US banking market’s challenges and aspirations, and is best placed to ensure our technology can directly address the region’s particular requirements,” added John Ashworth, COO of Caplin Systems.